You are well-versed in setting long-term and short-term goals, but experts warn that you also need to set medium-term goals in order to better manage your company's growth. When your company grows quickly, you may be tempted to toss out previously set goals for new ones. Having three-year and five-year goals helps you to stay thoughtful and focused. These goals can also be reached through striving for short-term plateaus, such as setting tasks that can be accomplished in a year to 18 months. Rapid business growth can lead to cash flow issues. 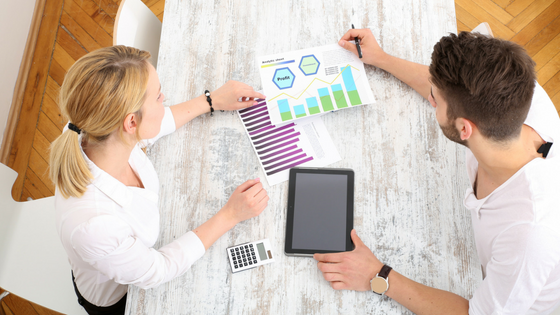 To avoid these problems, you should conduct an analysis of your receivables and payables to see how you can improve your cash flow. Be certain to do proper credit checks on clients, refine your collection methods and clarify your process for dealing with overdue accounts. Also work to anticipate your cash needs and, if indicated, work to refinance your debt and sell unused assets. In addition, see if the bank will approve more credit to meet increased cash flow needs. Plan ahead to maintain your liquidity. During a period of fast growth, you will need more employees, some permanent and some temporary. Rather than be forced to make quick employment decisions, have a smooth hiring process in place. If you don't have a separate human resources department, designate an employee to manage hiring. Invite applications online and create a log of potential employees. Also, don't make the mistake of taking on too much permanent staff. Your growth spurt may slow, leaving you overstaffed and forced to fire some recent hires. When your business is thriving, you may lose sight of what made your company special in the first place. You might be tempted to expand your product line or add a new service without doing your homework. Instead, focus on what has led to your company's current success and work to enhance those strengths. Make a formal analysis of your business practices to determine which ones work, and then commit to continuing them. Rapid business growth can lead to runaway costs. You should have someone continually looking into cutting expenses by working to reduce overhead expenditures such as equipment, rent, supplies, etc. Be certain to maintain your cost control methods during your growth period, a time when you will be vulnerable to overspending. 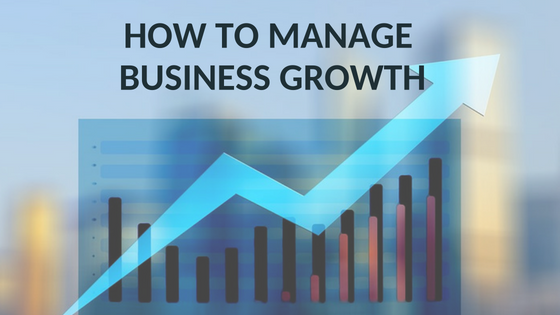 Rapid business growth is definitely a blessing, but one that comes with potential problems. While in the midst of this exciting time, be certain not to lose track of your medium and long-term goals, and strive to keep costs under control. You should also plan ahead for periods of quick growth so you'll be prepared when they arrive. A small business coach can help you prepare for expansion so that you reap the rewards and are not overwhelmed by the complications. You will be prepared to survive your business success.